Charles Merrick was born in Boothville, LA on November 14th 1942, moving to New Orleans in his teens. 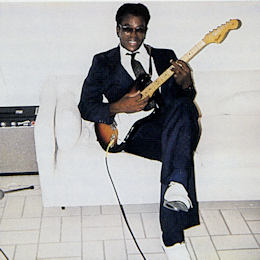 Always interested in music, he was inspired like so many others, by seeing the flamboyant Guitar Slim. By the end of his teens he was working as a tugboat captain on the Mississippi by day and singing and playing guitar by night with his own group the Gadges. He failed auditions with Dave Bartholomew and Allen Toussaint, before eventually starting his recording career with that fascinating Crescent City music operator Senator Jones, who started the Black Patch label with Charles’ first disc. Both sides of this rarity were penned by Charles himself, and they are both funky little items with Charles chanting rather more than singing. 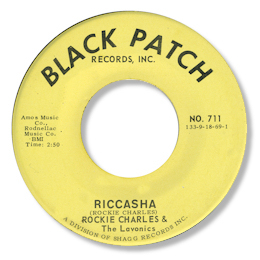 “Riccasha” (a misspelling of “Ricochet”?) is a catchy “dance craze” piece. 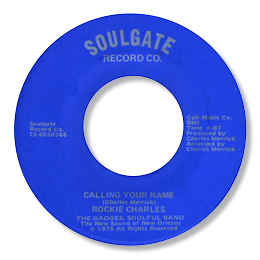 Charles formed his own label after this 45 failed and released several 45s on varieties of “Soul Gates” into the early 70s. Many of these were funk driven items like the two part “The President Of Soul”, a moniker that he adopted as his own. This track was recorded at Malaco before the famous King Floyd / Jean Knight weekend. All of the sides from this period suffered from low cost production values, some out of tune instruments and – consequently – a charm of their own. I like the typically rhythmic “Living In The Good Times” and the hard hitting social commentary of “Show My People Around The Curve” over a really funky back beat. There were two ballads amongst the cuts, the dirge like Someday I’ll Fall In Love and the more lively Calling Your Name. This latter is the better song by some distance and on it Charles sounds much more impassioned, accompanied by a honky-tonk piano which needs some tuning, his own bluesy guitar and the occasional blast from a horn section, almost all of whom are playing in the same key as the others. As nothing happened with these recordings Charles left show business for a while, returning in 1996 for Carlo Ditta who released his first CD “Born For You”. This featured a broad spectrum of music from funk to ballads. I think it was the mid paced songs like the title track and I Need Your Love So Bad that suited his unique "quavering" vocals rather better than the slow cuts such as "Don't Let Me Go". The best deep cut is "There's A Rainbow Hanging Over My Shoulder" but at over 6 minutes this is at least 2 mins too long. 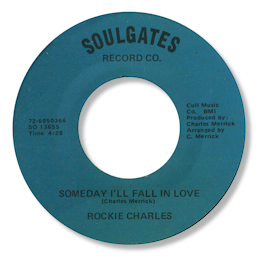 This release raised Charles' musical profile considerably, and in the following years he became a regular at Louisiana festivals like the Ponderosa Stomp, and released several more albums. These were pretty much home made affairs, mostly in a small band format, featuring his own compositions. Sadly he passed away in 2010 from cancer. And although he was never a major figure in the wonderful R & B history of New Orleans it is the proliferation of “little guys” like Charles that made the city’s musical history so endlessly fascinating.